If ever one needed a crash course on the techniques involved in making or losing friends, recent events provided glorious examples…writes Michael Kuttner. 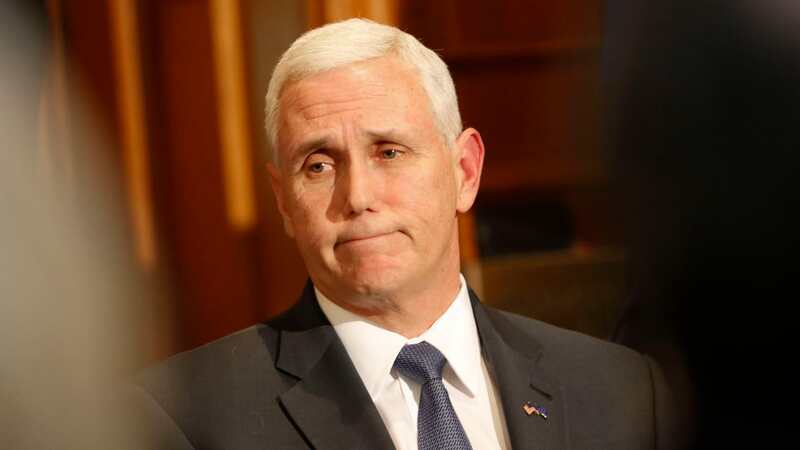 USA Vice President, Mike Pence, fake “peace” partner spokespersons and various EU politicians all demonstrated their varying skills in the fine art of friendship diplomacy. It must be said that none of those involved deviated from pre ordained scripts. However the intensity of their reactions reached heights hitherto unseen and served to illustrate as never before why a resolution of the conflict in the foreseeable future is mission impossible. President Trump has actually done us a big favour by helping to unmask once and for all the intense hate which motivates Israel deniers in various parts of the world. Those of us not mesmerized by the mirages of an Arab/Islamic “spring” knew instinctively that until and unless there was a fundamental change in revisionist lies peddled throughout the Islamic world there could not be any meaningful progress towards genuine peace and tolerance. If anything, conditions have worsened in recent times and the advent of a new more realistic Administration in Washington has served to highlight the morass of poison which currently percolates our neighbours’ societies. It also highlights the continuing double standards employed by others such as the EU & UN who perceive an opportunity to replace the US. Examples abound. Here are just a few which have headed our way during this momentous week. More are no doubt incubating in the fetid corridors of power inhabited by those who love to interfere in our affairs rather than concentrating on disasters in their own back yard. Without a doubt the amazing speech given by Vice President Mike Pence in the Knesset will go down in history as a landmark occasion. Never has a foreign leader or deputy leader ever given such a rousing clarion call validating the Jewish People’s rights to their land and acknowledging the centrality of its Capital. One could feel the palpable wave of emotion as he articulated in clear and unambiguous terms historical truths so often fudged and ignored by politicians and diplomats at the UN and other world forums. The post Zionist journalists who inhabit the columns of newspapers dedicated to rubbishing Israel must have recoiled in horror as they listened to Mr. Pence and true to form their negative comments were not long in coming. These often embittered relics of the left will never be able to understand why a man of faith can so clearly understand why a secure Israel with Jerusalem are important and an inseparable part of Judaism and the Jewish experience. Mike Pence obviously knows how to win friends and influence people. It is heartwarming to see the reciprocal feeling of respect which most sensible Israelis manifest in return. Contrast this with the eruption of volcanic proportions emanating from those who once again cannot resist a natural inclination to spew forth fire and brimstone. There cannot be a better demonstration of why after 70 years Arabs are still mired in misery, conflict and blame every one else but themselves for their misfortunes. Abbas and friends have still not recognised that times have changed. Where one upon a time they could bluster and threaten and be certain that the White House and State Department would rush to their aid with millions of dollars and abstentions at the UN, those days are over. Blackmail no longer works so like frustrated children at having their candies taken away the Palestinian Arabs are throwing a tantrum and refusing to talk. Their hate filled rhetoric is guaranteed to lose any friends they might have had in Washington. Declarations that no peace talks involving the USA will be held until President Trump rescinds his decision to recognize Jerusalem as the Capital of Israel and cancels the move of the Embassy are divorced from reality. The amazing two hour rant by Abbas in which he rewrote history, delved into Holocaust revisionism and deleted the Jewish connection to Israel proved to all except the irredeemably prejudiced and ignorant that there is no partner for peace. Having written off American friendship Abbas has now peddled his barrel of tainted goods to others in the international community guaranteed to swallow lies hook, line and sinker. Sure enough the EU, despite being not exactly in the best of economic health, has promised more millions and undying solidarity. When Abbas denied the Jewish connection to Israel this morally bankrupted group of nations remained silent, preferring instead to condemn the USA for having the chutzpah to acknowledging Jerusalem as our Capital. Media photos of the female foreign ministers of the EU and Sweden embracing and kissing Abbas as he extracted more promises and funds from them summed up the situation very well. Now it is reported that John Kerry, apparently mulling a run for the Presidency in 2020, has told an Abbas adviser that he should stay strong and not give in to Trump. Hamas, partners in crime with Fatah/PLO, meanwhile have declared that “by praying at the Western Wall, Pence has defiled Al Aqsa with a Jewish ritual.” In the face of this further litany of hate the EU remains silent. In a further effort to make friends and influence people the EU is ignoring the human rights violations of the Iranian regime. Likewise feeble comments after the Iranian authorities cracked down on protesters and invitations to the EU Parliament extended to known terror supporting politicians, exemplify the hypocrisy now prevailing on that continent. Meanwhile business deals are being made which will further empower and enrich those developing weapons of mass destruction. During World War 2 such beacons of righteousness as Sweden and Switzerland did very nicely from economic deals with Nazi Germany so sucking up to dubious friends is not exactly a new phenomenon. In the midst of this surreal landscape a news report caught my eye. It perfectly illustrates the madness which has overtaken so many. After having virtually destroyed Aleppo the Assad Syrian regime now wants the world to visit what remains as a tourist destination. The civil war conducted with unparalleled ferocity has displaced millions of Syrians and estimated to have claimed the lives of at least 340,000 people since 2011. Despite the carnage the Syrian government is advertising Aleppo, along with other destinations in Syria, at the Fitur International Tourism Trade Fair in Madrid, “promoting” the country’s attractions to the world. Now isn’t that a priceless way to win friends and influence people?